Hertz Furniture has a vast selection of storage units which will meet any school or office storage requirements. Whether you need wood bookcases, modular shelving or mobile storage cabinets, we have appropriate furniture to help keep your supplies organized. What&apos;s the best way to organize a storage closet? That depends what you are storing. 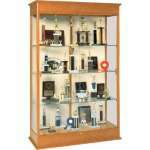 We offer many specialized products, including music storage and trophy and display cases. Tired of piles of papers strewn across your desktop? Be sure to check out our handy mail organizers. 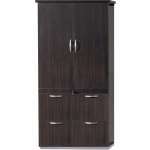 Hertz Furniture also provides a complimentary design service to assist you in planning your storage system. What kinds of storage cabinets are out there? Storage cabinets can come in handy anywhere, whether you need to store extra cleaning supplies, computer equipment or tools. 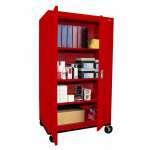 Adjustable shelving on many of our units enables you to accommodate virtually anything that needs to be stored. With a variety of sizes and colors to choose from, you can find a storage closet or wardrobe that will look great in any classroom, maintenance room or office. 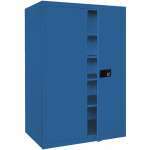 Metal storage cabinets from Sandusky Lee are durable and versatile. When you invest in this excellent storage solution, you can be sure that it will serve you well for many years to come. While metal cabinets are sturdy and dependable, you might want something more attractive for a professional setting. If you need some extra space for supplies and equipment in the principal's office or executive suite, veneer and wood cabinets from top office furniture manufacturers including DMI and Mayline are great. Many of them are part of full collections so they can be coordinated perfectly with office desks and other furniture. 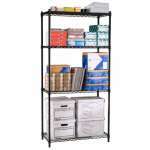 How can I get more office storage? In addition to having attractive cabinets, many professionals require some extra filing space and room for office supplies. An office credenza can also be coordinated with other furniture. It includes a combination of cabinets, box drawers and file drawers that will help keep a workspace organized while ensuring that materials are accessible. 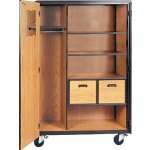 Every educational setting requires lots of great storage. Schools need extra supplies on the premises, but not everything has to be out in the open at all times. Whether you just need an extra cabinet for the art room, or you need a full lineup of storage solutions for the whole building, Hertz Furniture has it all - and then some. Where is a safe place to store science lab supplies? Appropriate lab storage is essential for any science classroom where students are doing hands-on experiments. When you need to store microscopes, petri dishes and chemicals, we have all of the right equipment. You can choose between units with wood and glass doors that are wall-mounted or freestanding. Locking science cabinets protect valuable equipment and supplies as well as students. 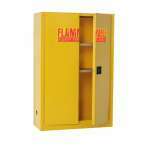 If your school science lab has a lot of chemicals, a flammable liquids cabinet is recommended. This locking storage unit ensures that potentially harmful chemicals remain locked up until they are needed for supervised use. What kinds of storage do you need in a school? Students put a lot of time and effort into paintings and drawings, so you want to make sure that their hard work is not accidentally damaged. When paintings are left to dry on countertops and tables, they can easily get knocked over or smudged. With art drying racks, you can make sure that student work is protected from damage as it dries. Our high-capacity art racks are great for large schools where many students use the art room over the course of a day. A school with a full creative arts program will also require some excellent instrument storage. Whether you have a marching band, orchestra, academic music program or all of the above, having an appropriate place to keep instruments in school is very helpful to students. Rather than carrying their instruments around all day, they can leave them locked up securely in the music room. This arrangement makes the whole experience of music in the educational environment much more pleasant. Demonstrate your support and pride for student accomplishments with our sleek trophy display cases. Whether your soccer team has won the state championship or the debate club has made it to the finals, all students will appreciate a prominent display space that showcases their achievements. When visitors and parents pass by artfully-displayed acknowledgements of your school's awards they are sure to be impressed. Where should you put bookcases? 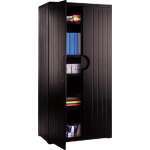 When you need bookcases for an office, classroom or school library, Hertz Furniture has an excellent selection. Bookshelves can be coordinated with office decor or color-coded by subjects in a library. We have steel, veneer and wood bookshelves, so you can choose the material you prefer. 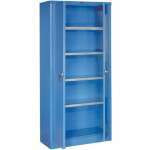 Educational Edge bookcases offer a great way to bring some color into a classroom. When books are displayed prominently on proper shelving, people can see that your company or institution cares about scholarship and promotes the acquisition of knowledge. Having great shelving and closets is always convenient - except when you need to move everything. A fully-stocked closet or bookshelf can be quite a challenge to relocate. With mobile storage units, you can simply roll everything into position without having to carry anything. This saves time and back strain. What is the easiest way to move tables and chairs? Speaking of mobility and storage, chair dollies and table carts are a great option to consider if your school, company or church has temporary seating and tables. Whenever a room needs to be set up for a big event, furniture can easily be rolled out of storage and moved to the desired location. Our table dollies and chair trucks are designed for easy maneuvering and compact storage. You can never go wrong when you purchase storage solutions from Hertz Furniture. Our variety of multipurpose cabinets and custom equipment provides you with any kind of storage you might need in a school, office or church. When your possessions are stored and displayed properly, the whole building will take on an organized and attractive feel.